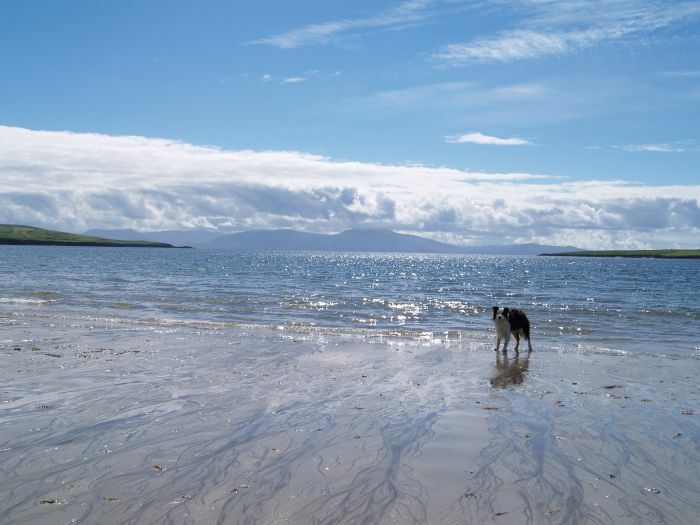 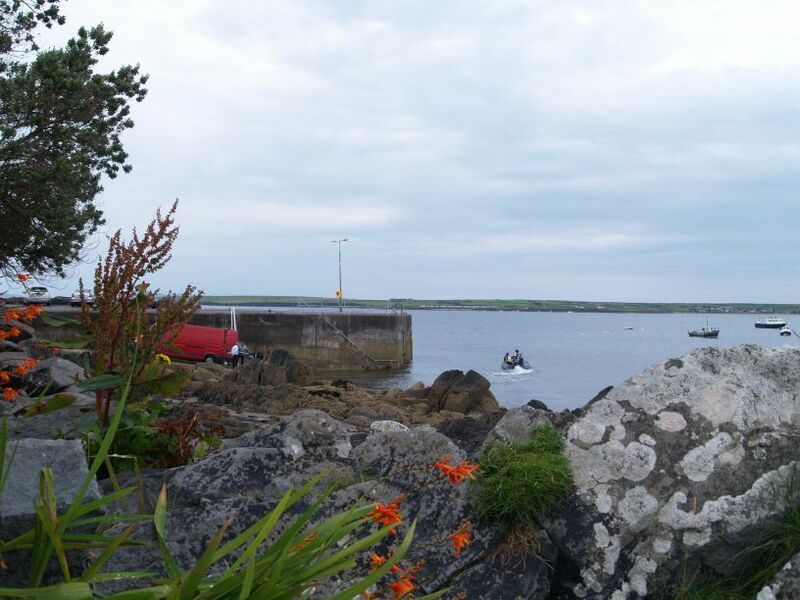 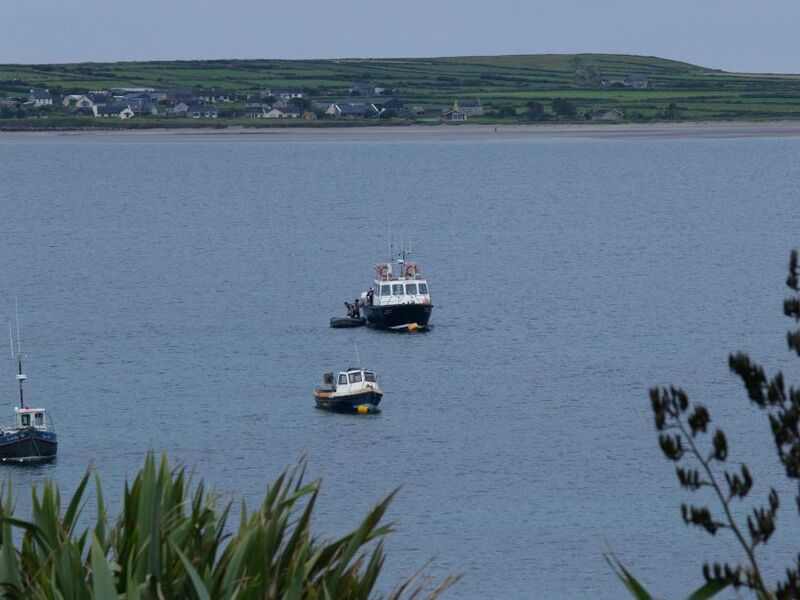 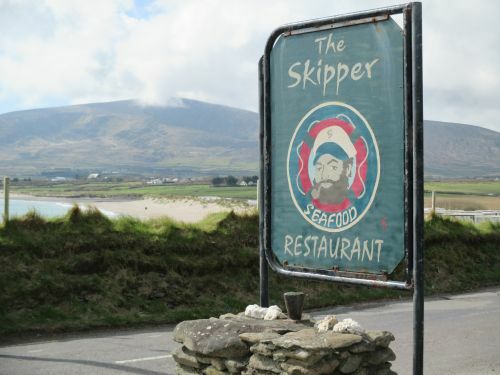 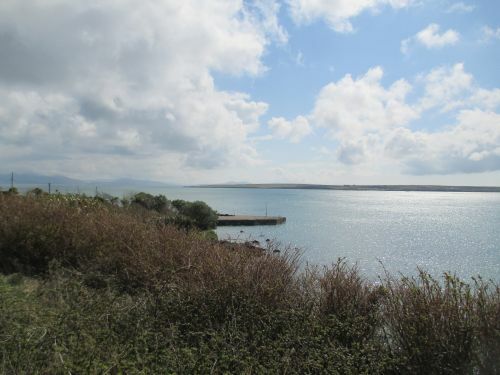 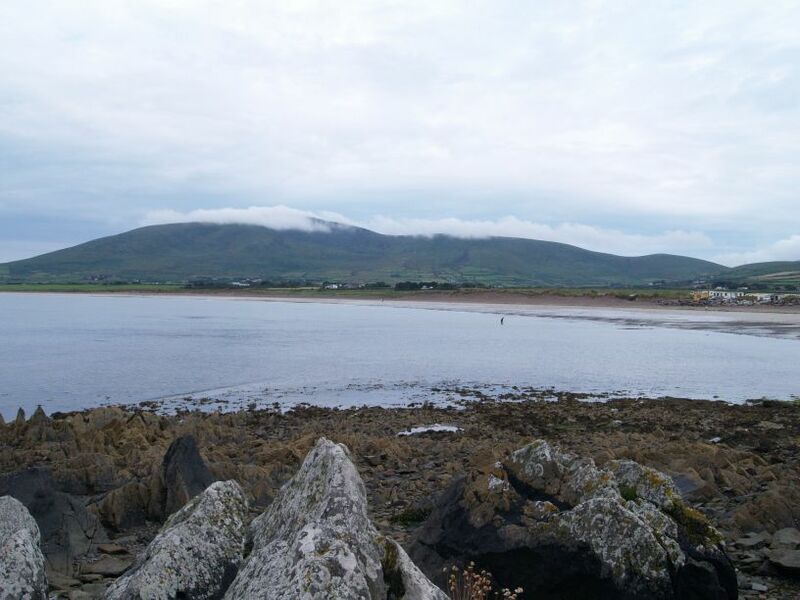 Ventry village has an absolutely super expansive beach-strand (Ceann Trá), popular, but lots of space for everyone by the beautiful bay and seascape and mountain scenery all around in background! 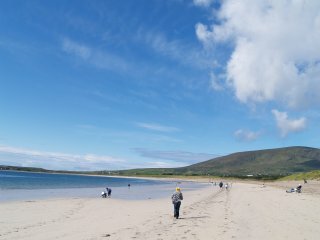 Solitude or lots of activity! 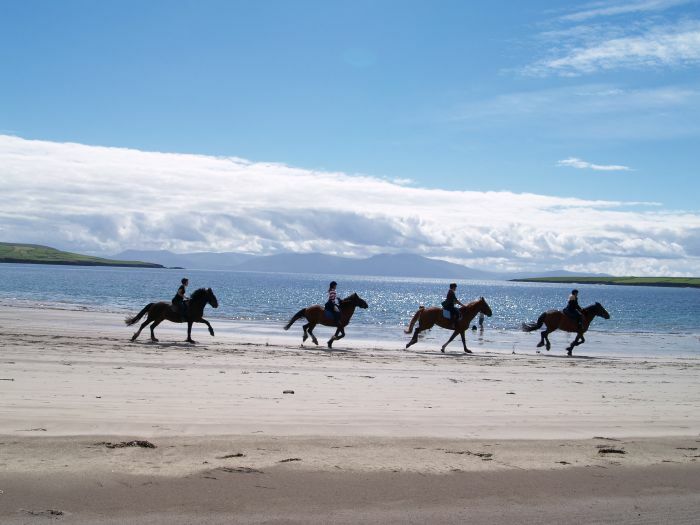 Horse riding is popular on Ventry beach. 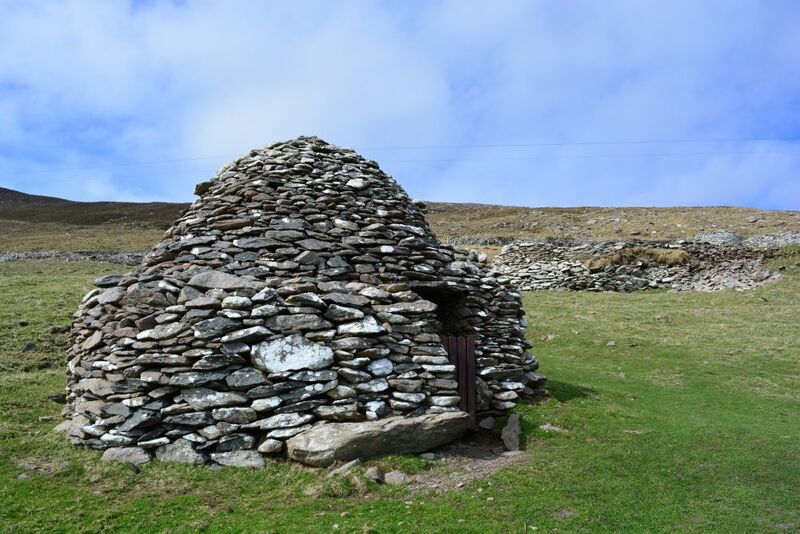 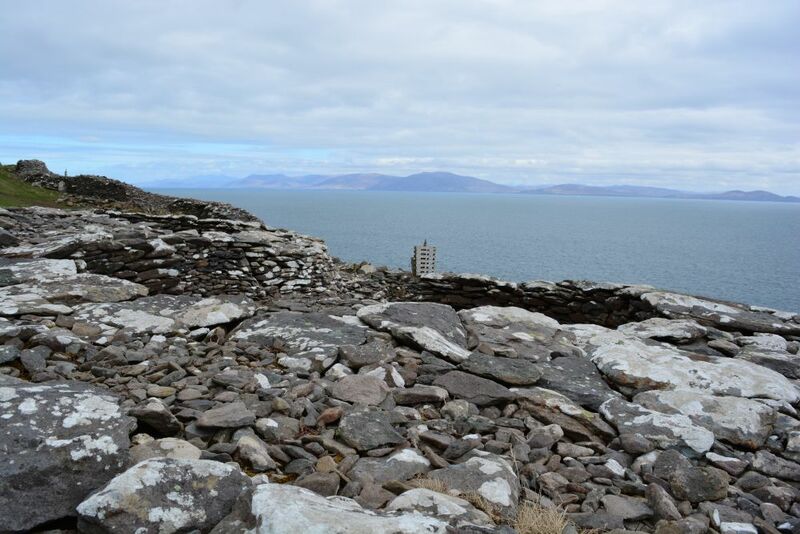 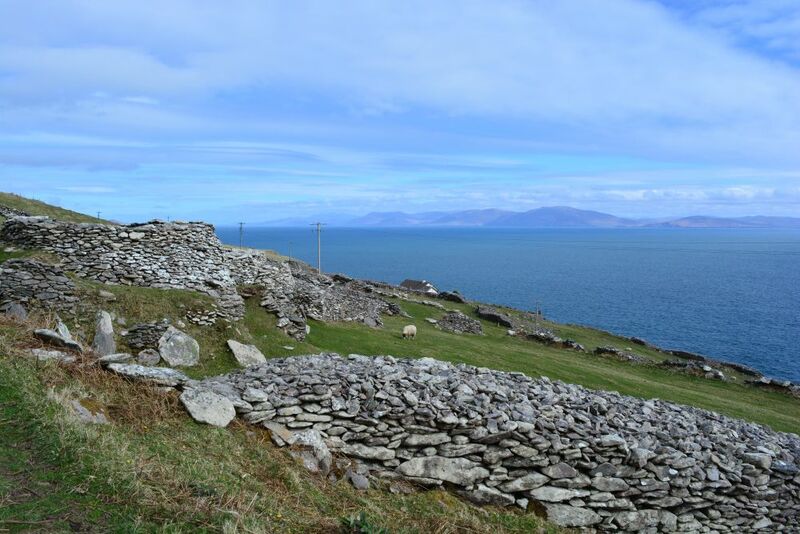 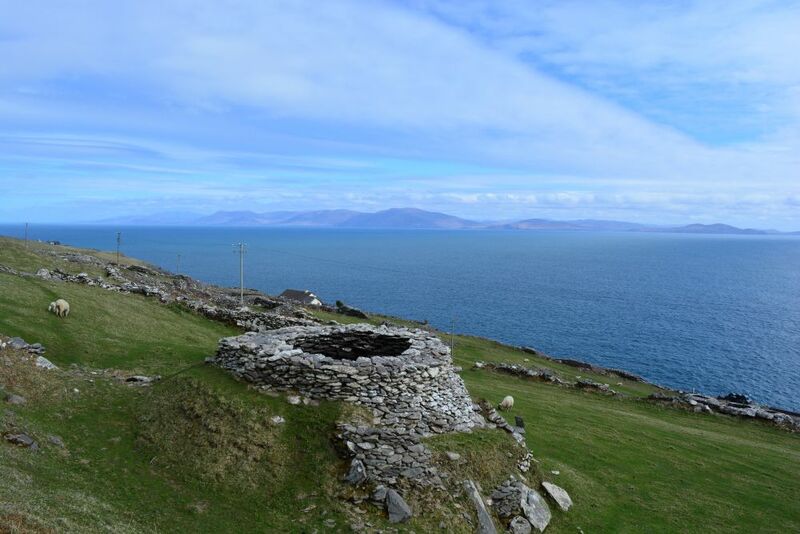 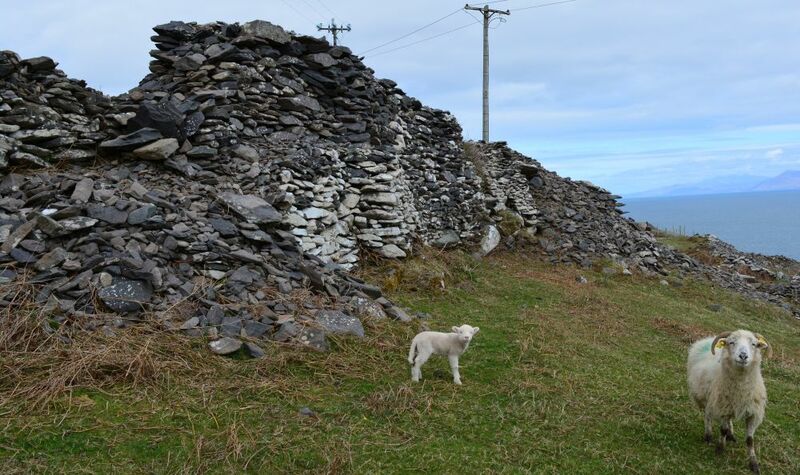 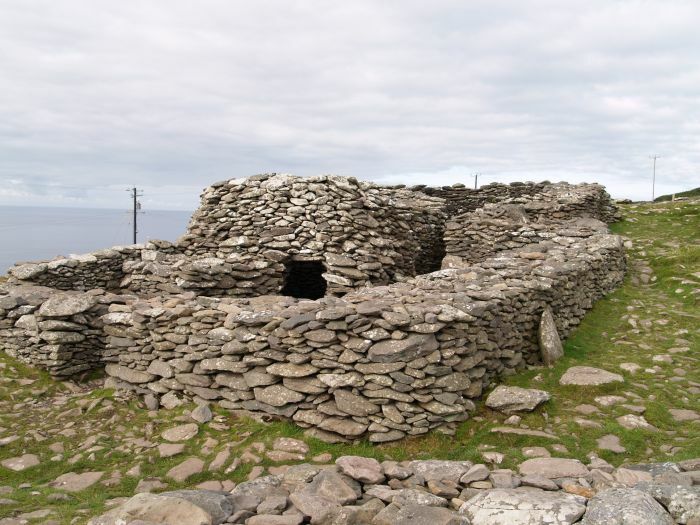 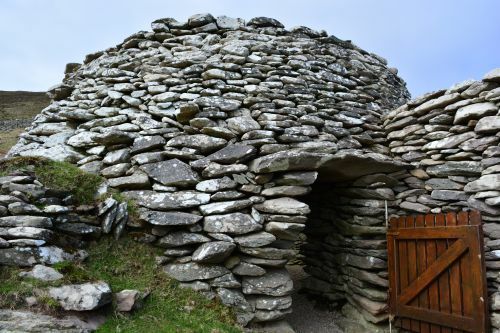 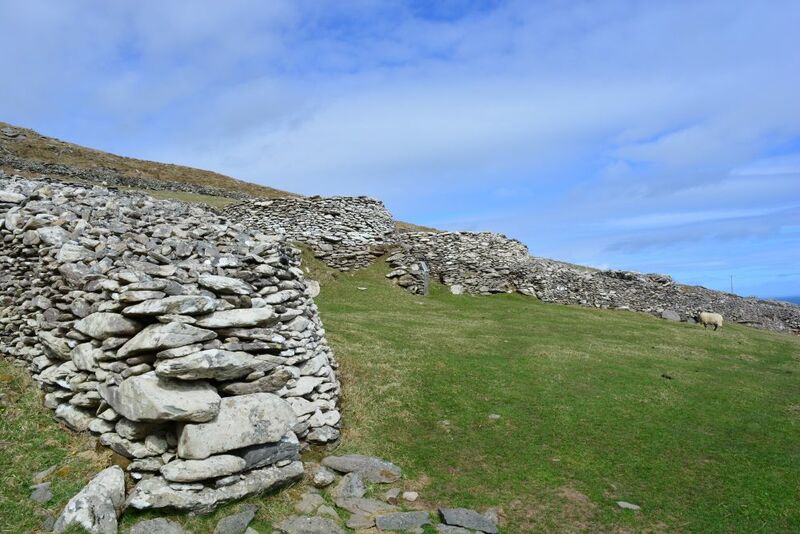 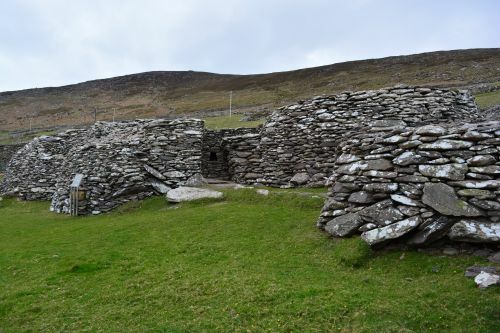 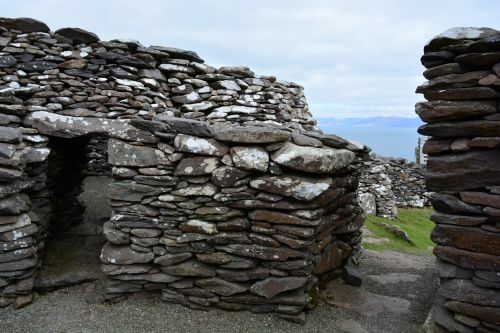 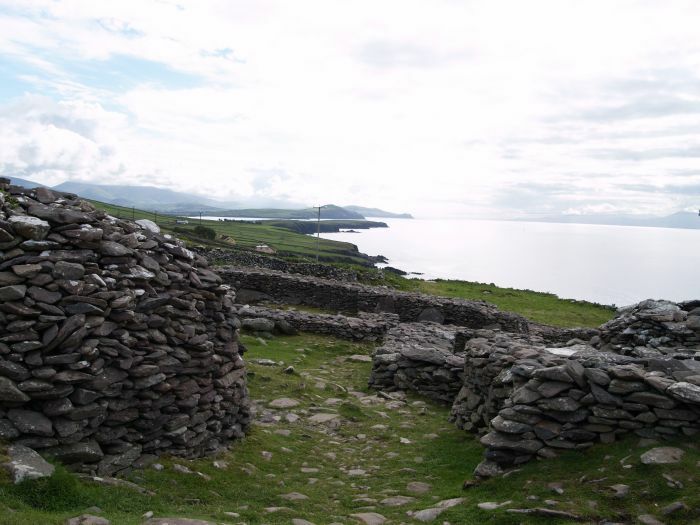 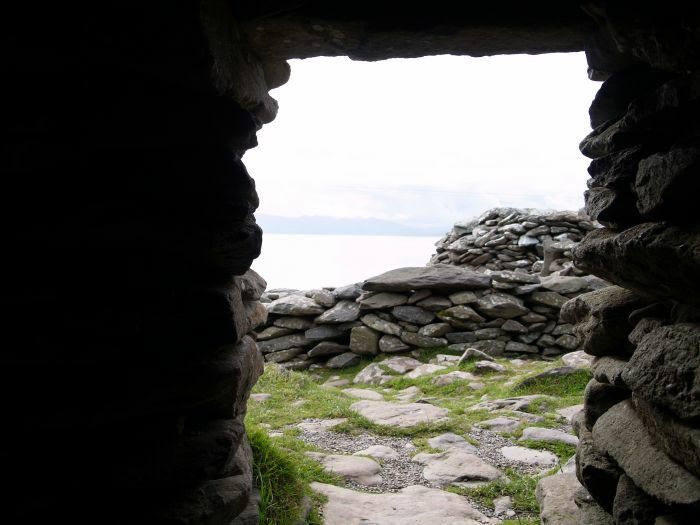 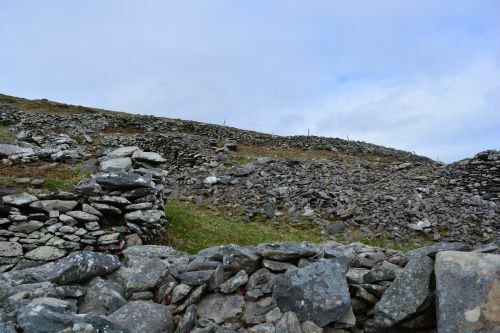 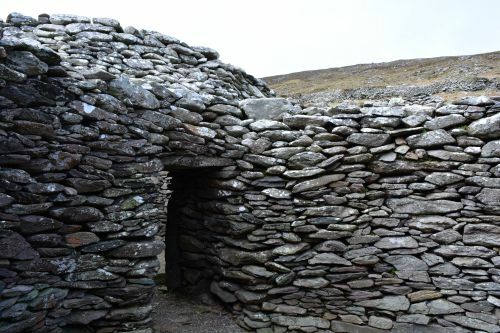 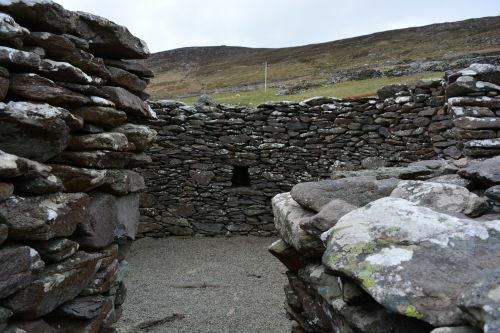 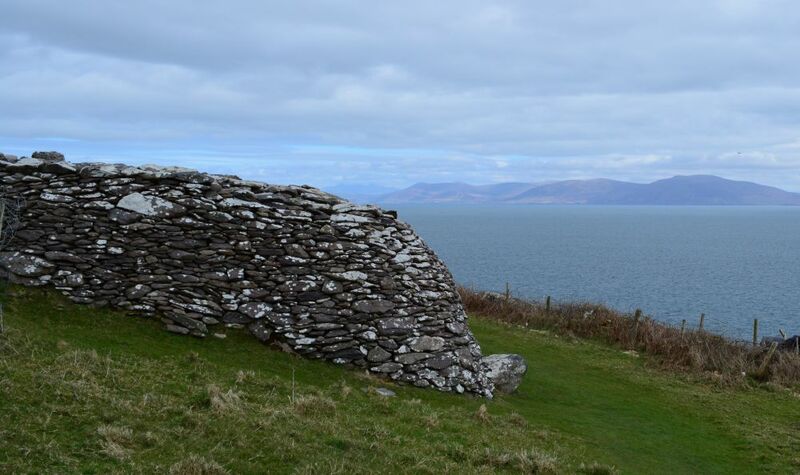 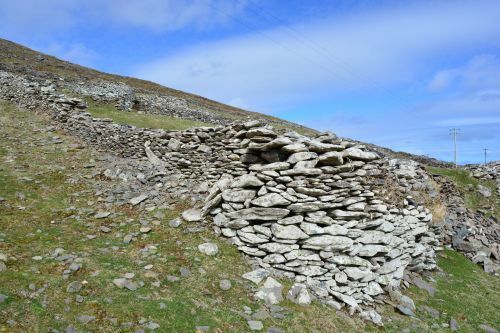 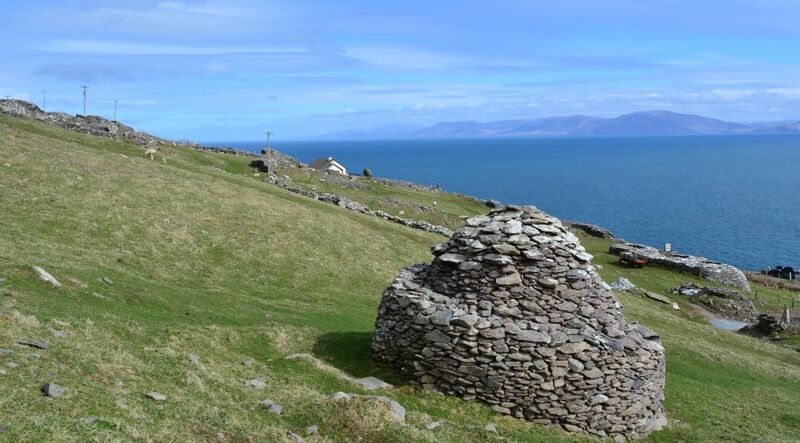 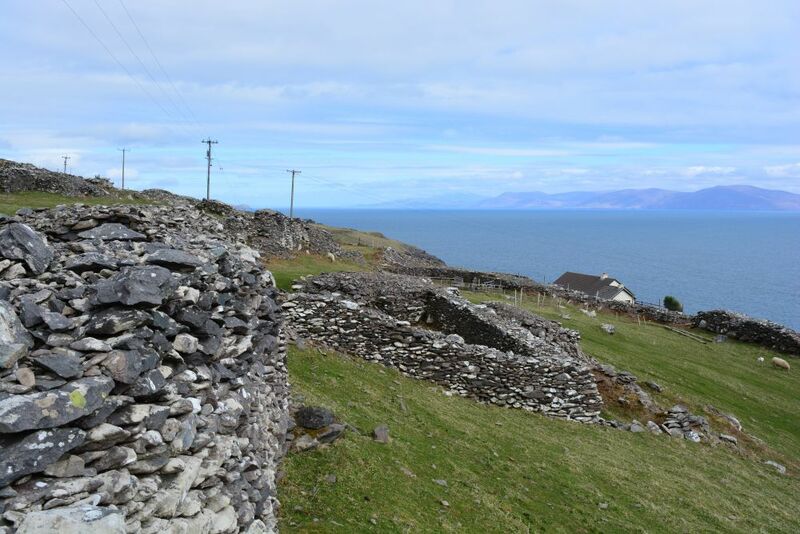 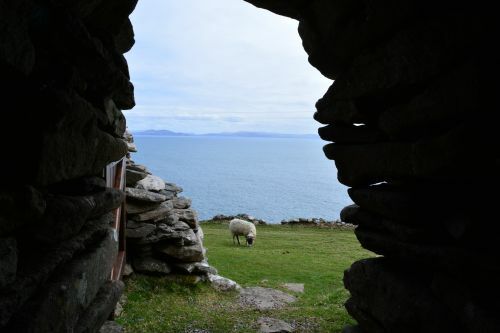 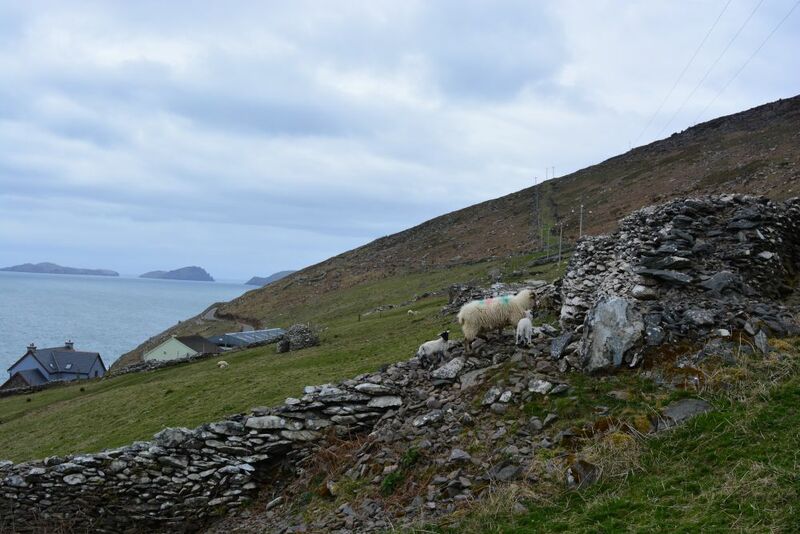 Just further along west of Ventry are the famous prehistoric beehive huts at Fahan. 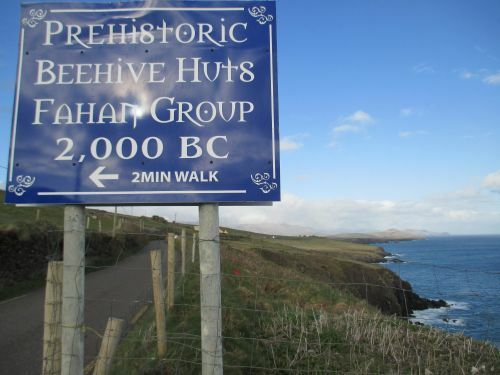 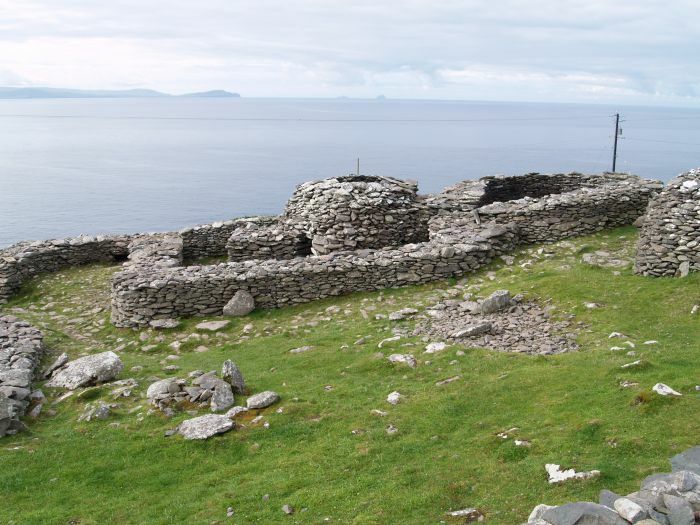 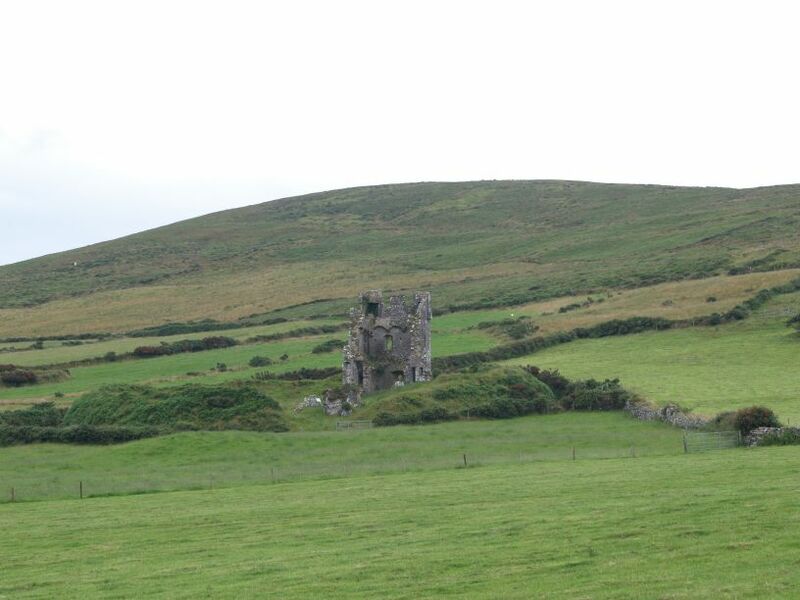 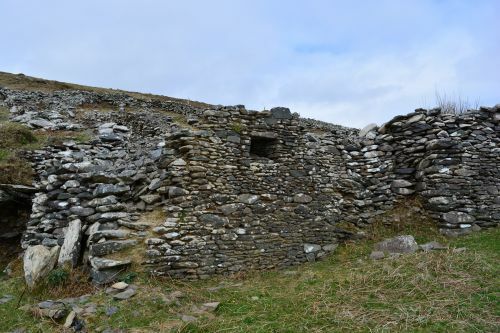 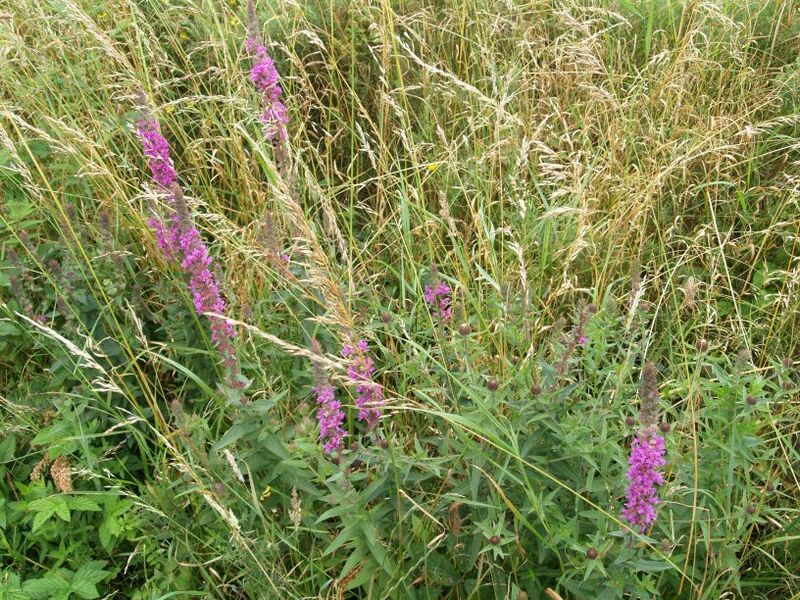 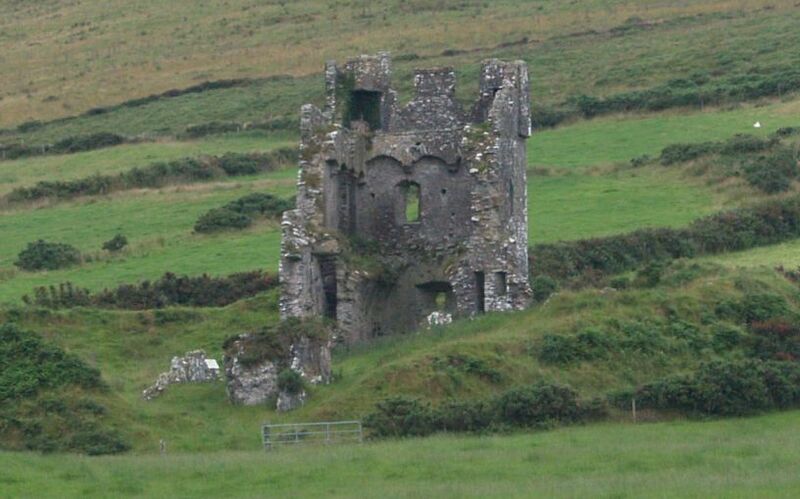 The beehive huts at the Fahan settlement date from the 5th century AD. 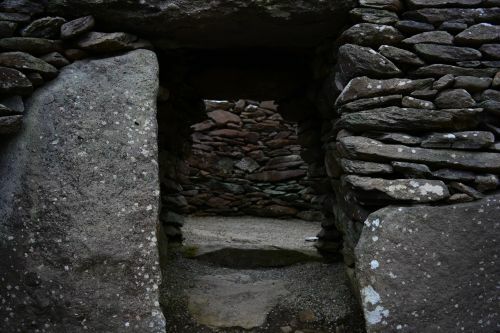 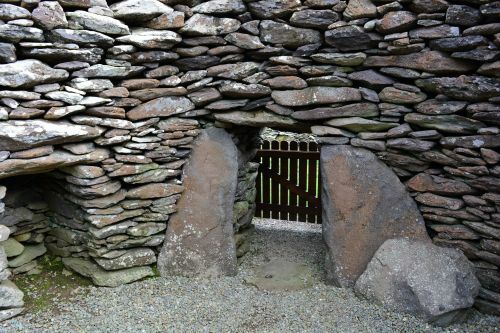 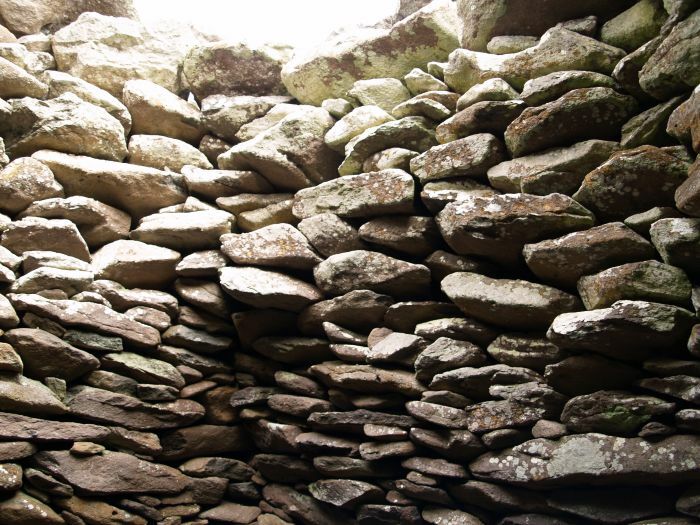 The corbelled structure of the dry stone walls. 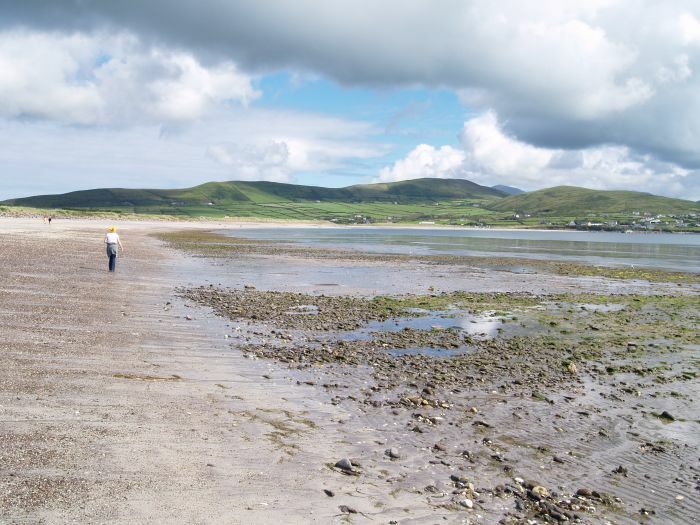 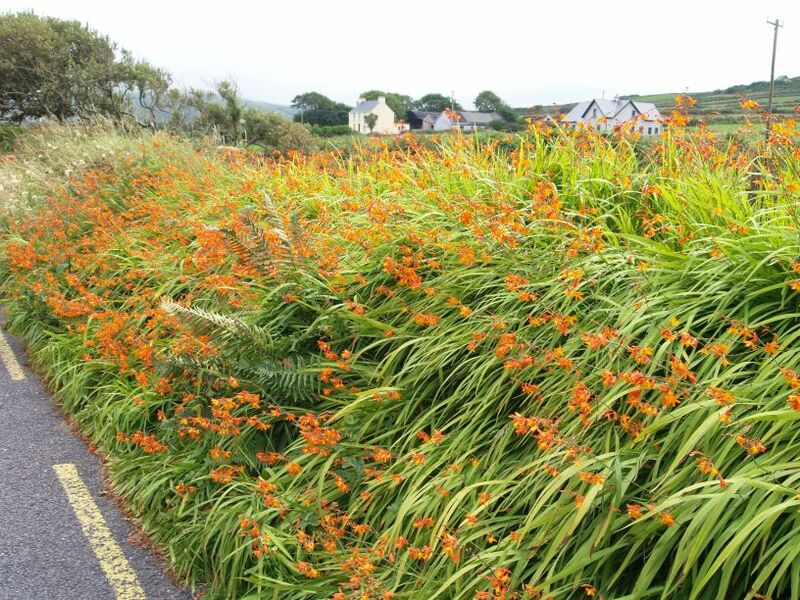 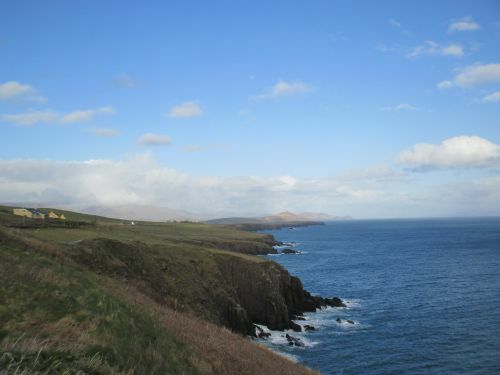 Ventry village, on the Dingle-Slea Head road, has a fantastic beach-strand (Ceann Trá), popular with bathers, walkers (its long!) 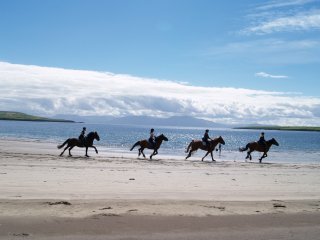 and picnic people too! 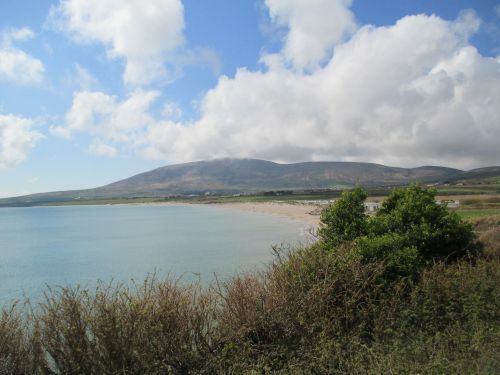 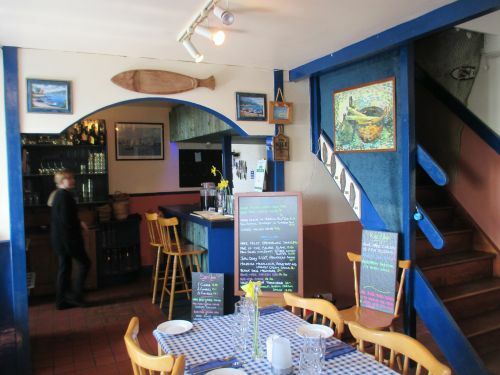 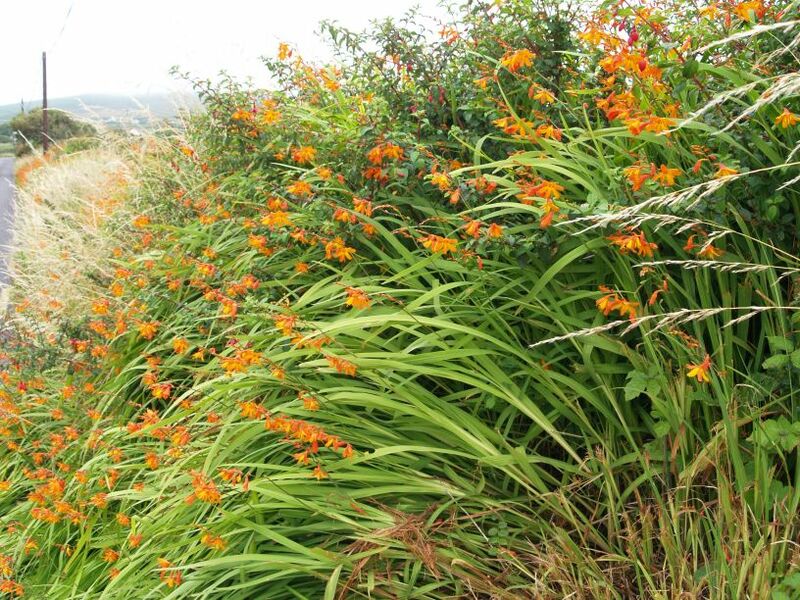 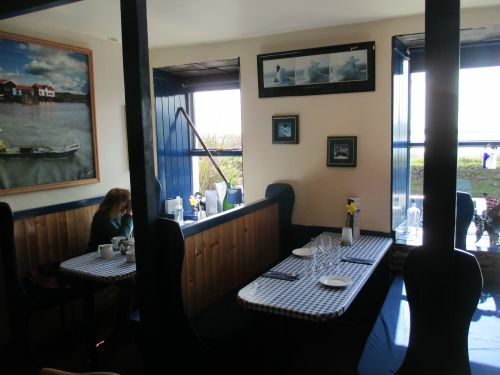 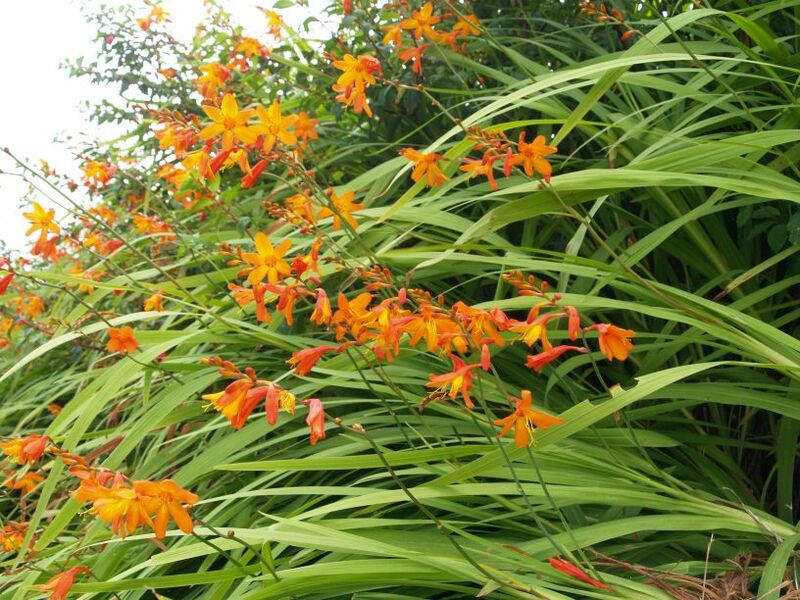 Despite its popularity there is lots of space for everyone by the beautiful bay and seascape and mountain scenery all around. 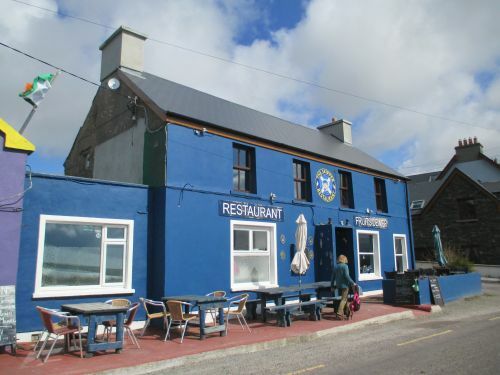 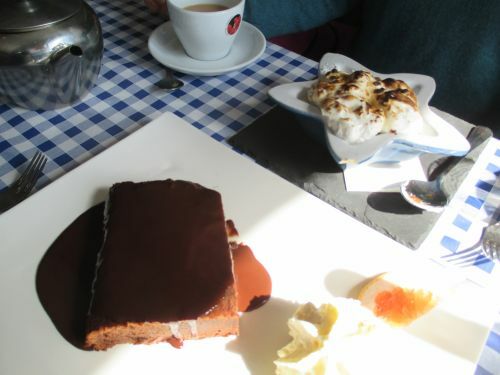 There is a cafe on the main road. 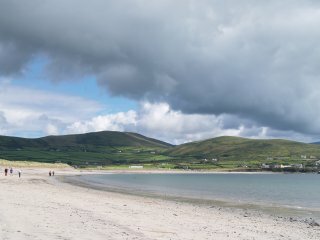 A great beach for a day out and a stroll by the sea along the long beach and very safe for children to paddle and bathe in.